There are two basic ways to back up your home computer. One is to use an external hard drive, connected by a cable or over a local network. This method offers the greatest privacy, speed and control, but also opens you to the risk that, if you lose the computer to burglary or fire or flood, you might also lose your backup. The second option is an online backup service. By separating the computer and the backup, this approach insulates the backup from local havoc. But it requires that you trust the backup service with your personal files, and it can be slow and expensive. Now, Hitachi (HIT), the Japanese technology company, has rolled out a line of external hard drives that combine the two approaches. The drives, called the LifeStudio series, come with simple backup software that, from one screen, performs both local and online backups of your important data at regular intervals, and allows you to restore lost files from either backup repository. The backup system comes with 3 gigabytes of free online backup storage, and offers much more online storage at an affordable price. But wait, there’s more. In addition to these dual backup services, Hitachi throws in a second software program that aggregates the personal files on your computer, regardless of the folders in which they reside. This second program categorizes your files into photos, videos, music and documents, organizes them by date, and displays thumbnails of the files in a visually arresting scrollable “wall.” It also can display in the same fashion your online photos from Facebook, Flickr and Picasa—as well as photos, videos and music from around the Web, and services like games, news videos and shopping. Finally, some premium models in the LifeStudio series of hard drives include, at extra cost, a special thumb drive that snaps onto the larger hard disk using a special dock. This thumb drive can be carried around and used on any other computer. But when you pop it back onto the Hitachi hard disk, it automatically syncs any new or changed files back to the computer to which the LifeStudio drive is attached. It’s all an attempt to add both value and flair to a product category, external hard disks, often seen as a commodity driven largely by price and capacity. But it’s also a bit overwhelming. The LifeStudio drives, and their accompanying software, work on both Windows PCs and Macs, and are available at a variety of physical and online stores. Prices range from $80 for a 250-gigabyte standard mobile drive without the dockable thumb drive, to $220 for a 2 terabyte desktop-size premium drive with the dockable thumb drive. If the 3 gigabytes of included free online storage isn’t enough, Hitachi will sell you 250 gigabytes of online storage for $50 a year. In my tests, the Hitachi drives, thumb drives and two software programs mostly performed as advertised on both a Mac and a Windows computer. I was able to back up and restore files from both the local and online systems, though I ran into enough software glitches to make an unqualified recommendation impossible. 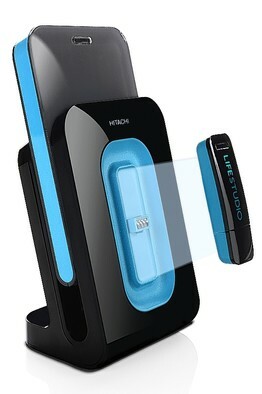 Some premium models of the LifeStudio hard drive have a thumb drive that can be used on any computer and that automatically syncs to the computer with the hard drive attached. One major caveat is in order. Hitachi’s software isn’t designed to back up your whole computer. Instead, the software is aimed at protecting your personal files, such as photos, music, videos and documents. And, while it allows you to select the folders you’d like backed up, it doesn’t allow more fine-tuned controls, such as backing up files with certain extensions. However, the drives themselves could be used with other software that allows such things. I found the backup software dead simple to use—and reliable. But the initial online backup was very slow, even with a small number of files and a fast connection. Hitachi says its servers were undergoing maintenance during my tests. Also, the local backup software reported at times that the drive was “read-only,” a bug Hitachi says it is fixing. While the thumb drive is advertised as syncing “automatically,” this only works if new or changed files are in the folder it was set up to sync, something Hitachi doesn’t make clear, but says it will. The separate file-organizing and viewing software, LifeStudio, seemed more sizzle than steak to me. It’s a nice idea to aggregate all your personal files by type and date, and the scrolling wall of thumbnails is pretty. But I found that it wasn’t a very good way to locate a particular file out of thousands. There is a search function, but it’s only useful if you know the name of the file, which may have little to do with its contents. I liked the software’s ability to view my photos from social-networking services, but the more general offerings of photos and videos from around the Web seemed random and better done in a browser. In one case, a section called “Featured” turned up a hard-core pornographic photo, amid pictures of puppies and sunsets. I can recommend the LifeStudio drives for local and online backup, if Hitachi follows through and fixes the “read-only” bug I encountered. As for the rest of the features, some folks may value them, and others will find them superfluous. 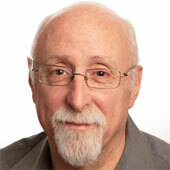 Find Walt’s columns and videos at the All Things Digital website, walt.allthingsd.com. Email him at mossberg@wsj.com.